Wandsworth takes its name from the River Wandle, which enters the Thames at Wandsworth. Wandsworth appears in Domesday Book of 1086 as Wandesorde and Wendelesorde. This means 'enclosure of (a man named) Waendel', whose name is also lent to the River Wandle. Since at least the early 16th century, Wandsworth has offered accommodation to consecutive waves of immigration, from Protestant Dutch metalworkers fleeing persecution in the 1590s to recent Eastern European members of the European Union. The heart of Wandsworth, between the town centre and the river, is the site of Young & Co's Ram Brewery. Traditional draught beer was produced on the site for 425 years starting from 1581, which made the Ram Brewery the oldest site in Britain at which beer had been brewed continuously. Shire horse-drawn brewery drays were still used to deliver beer to local pubs. However, brewing stopped in September 2006 when Young & Co merged its operations with Charles Wells of Bedford. Wandsworth gas works was built in 1834 beside the River Thames near Wandsworth Bridge. The undertaking became the Wandsworth and Putney Gaslight and Coke Company in 1854 and was incorporated by Act of Parliament in 1856. Coal for making coal gas was brought by sea from North East England and unloaded on the Thames beside the gasworks. The undertaking grew by a series of mergers and takeovers so that by 1936 it served a considerable area of south-west London. The River Front is a former wharf area, and now a long river walk towards Battersea Village and the West End. It is now lined with new apartment blocks, with several bars and restaurants. Wandsworth Common is set back from the river, at the top of East Hill, containing an area known locally as 'the Toast Rack' that has some of the most expensive townhouses in London. 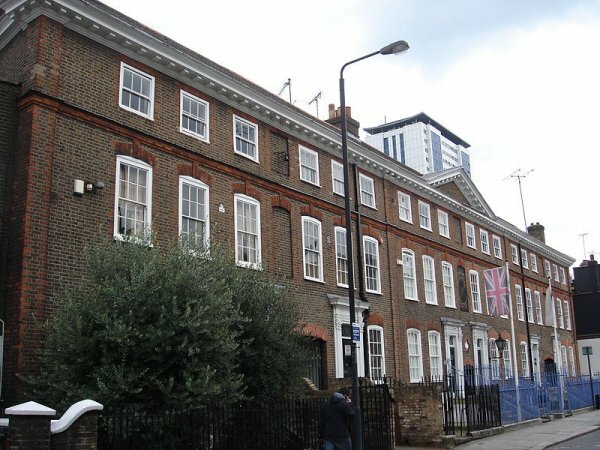 The Tonsleys/Old York Road is a residential area of old Wandsworth close to the river and town centre, so called because many of the street names have the word Tonsley included. It has a village feel with the Old York Road's cafes and shops at its heart. Houses in this area, although small, are desired because they retain their Victorian character and are in close proximity to Wandsworth Town railway station. The houses are very popular with city workers, lawyers, advertising executives and other professionals. East Hill is an area of large Victorian houses bordered by the west side of Wandsworth Common. Wandsworth High Street is a rather traffic-choked street, dominated by the recently regenerated Southside shopping centre, cinema and restaurant complex (formerly called the Arndale Centre). Behind the shopping centre, and following the River Wandle upstream towards Earlsfield and further south to Wimbledon, is King George's Park.